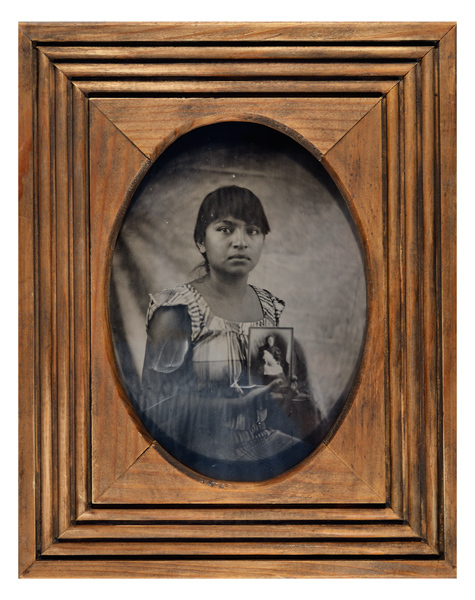 Keliy Anderson-Staley combines new tintype portraits with found antique photos, letters and cloth to question how we create identities. 110 backers pledged $8,521 to help bring this project to life. 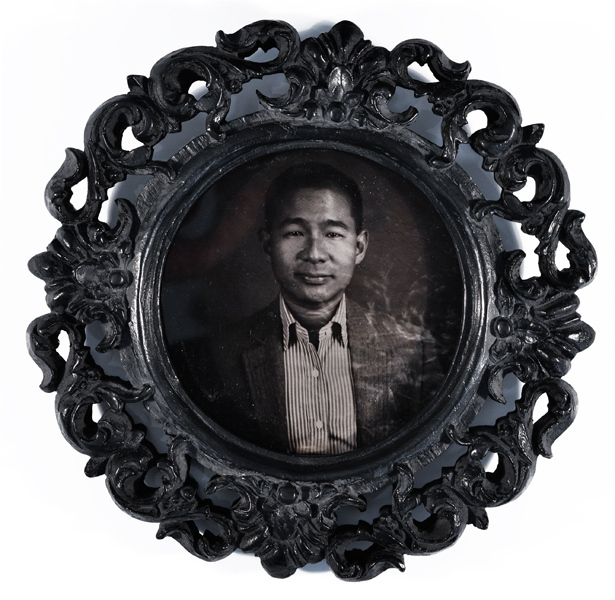 I have been creating a massive archive of portraits with the tintype process for over 7 years. I use antique brass lenses, wooden view cameras and chemistry I mix according to traditional recipes. 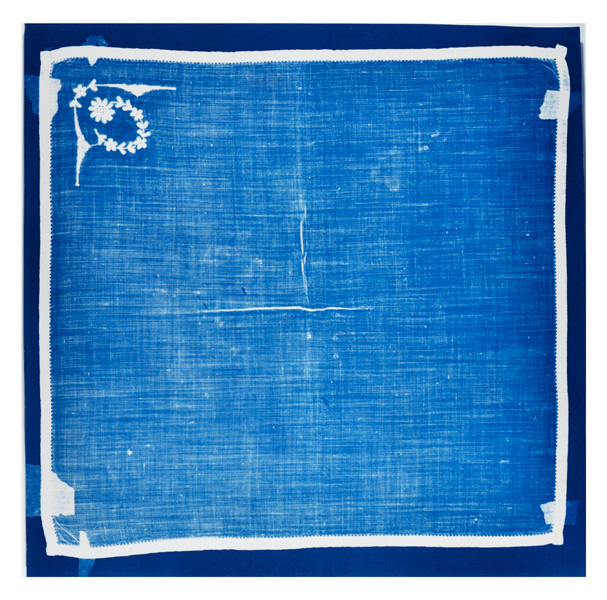 Recently, I have begun bringing these images into large-scale installations alongside found antique letters, photographs and textiles, and simulated "heirlooms" that I make using other historic photographic processes including cyanotype and van dyke brown photograms. 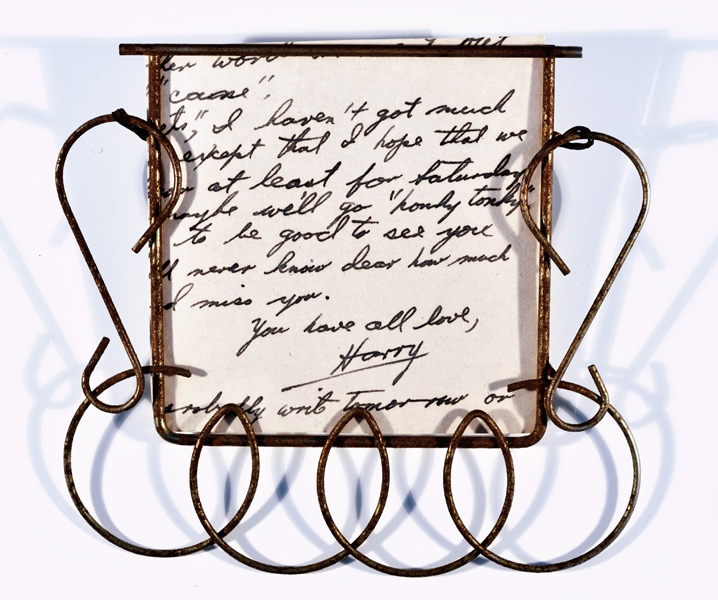 With these objects I create fictional heirloom collections for fictional families and individuals. 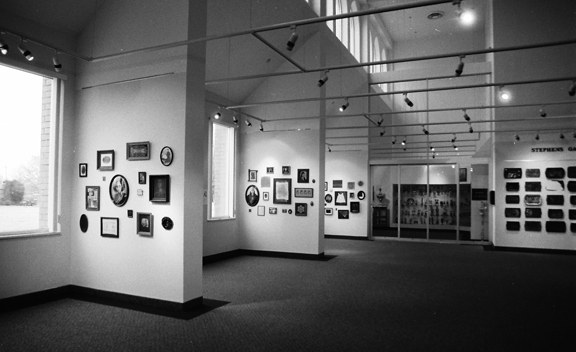 I construct installations that are "curated" from my growing archive of real and imagined heirlooms, hanging them the same way family photos are displayed on household walls. I have installed several different slices of the collection in university and commercial galleries, but I am now building installations that exceed these previous incarnations in scope and size. I bring objects together from a wide range of places and times, sometimes even my own family, but no real family is represented by the installations. They are potential but imaginary heirloom collections, fragments of other collections that have been forgotten in boxes or abandoned to thrift stores. When combined with my own work, each of these objects is put into a new context, a new history, even as the individual object still evokes the unique past it has been separated from. The project draws attention to the rootless nature of contemporary identities. We all assemble and create our identities from fragments of the past. 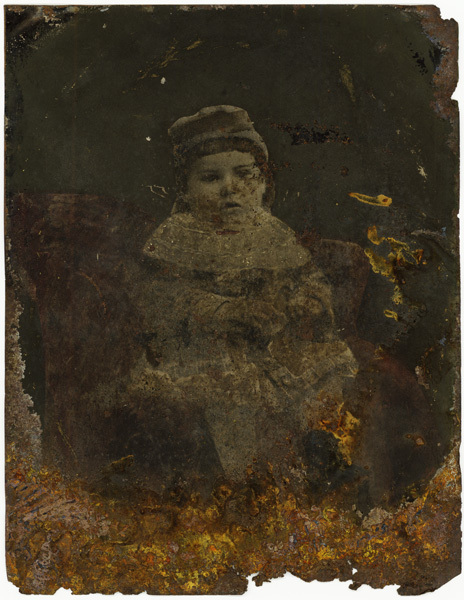 Some of us carefully reconstruct genealogies and can name the individuals in family photographs back multiple generations, while others see only strangers in old albums and shoeboxes. Some of us choose one ancestor or one ethnic affiliation to identify with over another, while others of us find new, future lines of identity in the images we collect of our children. Through the images we hold on to, we all seek to forge identities, to assimilate into traditions and put our lives into historical contexts. When looking at my installations, viewers might wonder: Are these people related? What stories bring these objects and faces together? Why have these particular objects been framed and not others? What stories, known only to the collector who left them behind, would be communicated by these objects if we just had enough information? These objects are both mysterious and familiar, just as are, paradoxically, images of our own ancestors. I am very interested in the fictional quality of identity-formation. Specifically, I am interested in examining the role that photography has played since its invention in shaping our sense of identity and belonging. This project is at a point where it needs to expand. Each installation has been larger than the last, and I feel the project needs to be even more encompassing in terms of the individuals it represents. My goal is to have several full-wall installations exhibited in gallery spaces later this year, and I am also in the beginning stages of planning a book to complement the physical installations. I have put out a call to family and friends for heirlooms and relics, and I am expecting an influx of new vintage materials. I will need to create new tintype portraits to pair with these, and I am asking the Kickstarter community to help support their production. I will be shooting as many new and different people as I possibly can over the next few months. I plan to travel around the country with my equipment and chemistry, and I am already scheduled to be in Syracuse, Philadelphia, New York and Portland, ME. My intention is to expand the scope of the project to suggest ever-larger "families" and an ever-greater sense of shared identity. Donations will support my travel and will allow me to buy my chemistry and materials (including tin; ether, which is hard to come by; and silver nitrate, the price of which has gone through the roof). With the funds I've requested, I should be able to produce about 150 new portraits and prepare the pieces for installation. I would appreciate any support you can provide however small. In return I am offering a number of rewards, described below. I am offering a number of great rewards including "mini-installation packets" that echo the larger installations of the project. These will come with a range of objects curated from my archive: tintypes, cyanotypes, doilies, old letters and prints of my work. As is the case with my installations, these collections will be a mix of appropriated objects and images I have produced myself. 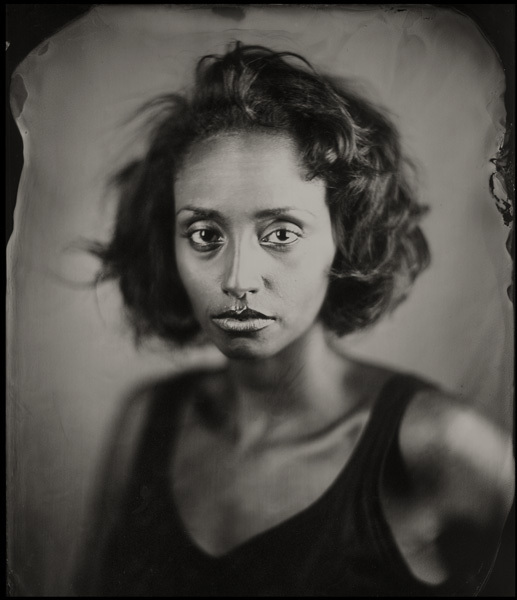 I am also offering a tintype portrait made from one of your favorite photographs and a rare opportunity to come to beautiful Arkansas for a tintype portrait session. I love to send mail, and I am looking forward to sending out my packets. Anyone pledging more than $10 can expect to receive original hand-crafted materials. I hope to be able to send you something soon. Thank you for taking the time to learn more about my project. A hand-written thank-you letter, a signed postcard print from the project and my gratitude for your support. A hand-written thank-you letter, a signed postcard print from the project, a signed limited edition 5x7 archival print from the project and my gratitude for your support. A MINI-INSTALLATION PACKET: 1) a hand-written thank-you letter, 2) a signed postcard print, 3) a signed limited edition 5x7 archival print, 4) a found doily and 5) my gratitude for your support. International funders, please add $5 to cover the additional shipping costs. A MINI-INSTALLATION PACKET: 1) a hand-written thank-you letter, 2) a signed postcard print, 3) a signed limited edition 5x7 archival print, 4) a signed limited edition 8x10 archival print, 5) a found antique print (one of a kind) and 6) my gratitude for your support. International funders, please add $10 to cover the additional shipping costs. A MINI-INSTALLATION PACKET: 1) a hand-written thank-you letter, 2) a signed postcard print, 3) a signed limited edition 5x7 archival print, 4) a signed limited edition 8x10 archival print, 5) a found piece of cloth or doily, 6) a found antique print (one of a kind) and 7) my gratitude for your support. International funders, please add $10 to cover the additional shipping costs. A MINI-INSTALLATION PACKET: 1) a hand-written thank-you letter, 2) a signed postcard print, 3) a signed limited edition 5x7 archival print, 4) TWO different signed limited edition 8x10 archival prints, 5) a found piece of cloth or doily, 6) a found antique print (one of a kind) and 7) my gratitude for your support. International funders, please add $10 to cover the additional shipping costs. A MINI-INSTALLATION PACKET: 1) a hand-written thank-you letter, 2) a signed postcard print, 3) a signed limited edition 5x7 archival print, 4) a signed limited edition 8x10 archival print, 5) a found piece of cloth or doily, 6) a found antique print (one of a kind), 7) an original hand-made limited edition 8x10 cyanotype photogram print and 8) my gratitude for your support. International funders, please add $10 to cover the additional shipping costs. A MINI-INSTALLATION PACKET: 1) a hand-written thank-you letter, 2) a signed postcard print, 3) a signed limited edition 5x7 archival print, 4) a signed limited edition 8x10 archival print, 5) a found piece of cloth or doily, 6) a found antique TINTYPE (one of a kind), 7) an original hand-made limited edition 8x10 cyanotype photogram print and 8) my gratitude for your support. International funders, please add $10 to cover the additional shipping costs. ***NEW*** Limited reward available exclusively for members of the broader Syracuse University, Syracuse, New York and Light Work Darkroom communities. 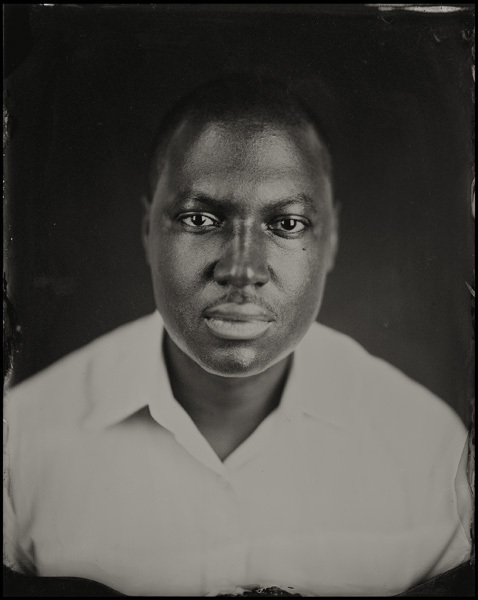 Pledge now and come sit for a tintype portrait between July 6 and July 20, and you can keep an original one-of-a-kind 5x7" tintype portrait of yourself! Available only in Syracuse, NY. A MINI-INSTALLATION PACKET: 1) a hand-written thank-you letter, 2) a signed postcard print, 3) a signed limited edition 5x7 archival print, 4) TWO different signed and numbered 8x10 archival prints, 5) a found piece of cloth or doily, 6) a found antique tintype (one of a kind), 7) an antique found letter, 8) an original hand-made limited edition 8x10 cyanotype photogram print and 9) my gratitude for your support. International funders, please add $15 to cover the additional shipping costs. A MINI-INSTALLATION PACKET: 1) a hand-written thank-you letter, 2) a signed postcard print, 3) a signed limited edition 5x7 archival print, 4) a signed limited edition 8x10 archival print, 5) a found piece of cloth or doily, 6) a found antique tintype (one of a kind), 7) an original hand-made (by the photographer) one-of-kind TINTYPE and 8) my gratitude for your support. International funders, please add $15 to cover the additional shipping costs. A MINI-INSTALLATION PACKET: 1) a hand-written thank-you letter, 2) a signed postcard print, 3) a signed limited edition 5x7 archival print, 4) a signed limited edition 8x10 archival print, 5) a found piece of cloth or doily, 6) a found antique tintype (one of a kind), 7) an original hand-made (by the photographer) one-of-kind tintype from the project, 8) a hand-made 11x14 cyanotype photogram print 9) an antique frame for one of the pieces, and 10) my gratitude for your support. International funders, please add $15 to cover the additional shipping costs. A MINI-INSTALLATION PACKET: 1) a hand-written thank-you letter, 2) a signed postcard print, 3) a signed limited edition 5x7 archival print, 4) a signed limited edition 8x10 archival print, 5) a found piece of cloth or doily, 6) a found antique print (one of a kind), 7) a one-of-a-kind TINTYPE PORTRAIT of you, a loved one or your family made from one of your favorite photographs (you will need to provide a digital file of the image) and 8) my gratitude for your support. International funders, please add $15 to cover the additional shipping costs. THE ULTIMATE MINI-INSTALLATION PACKET: 1) a hand-written thank-you letter, 2) a signed postcard print, 3) a signed limited edition 5x7 archival print, 4) a signed limited edition 8x10 archival print, 5) a found piece of cloth or doily, 6) a found antique tintype (one of a kind), 7) an original hand-made (by the photographer) one-of-kind tintype from the project, 8) a hand-made limited edition 11x14 cyanotype photogram print, 9) a TINTYPE PORTRAIT of you, a loved one or your family made from one of your favorite photographs (you will need to provide a digital file of the image) and 10) my gratitude for your support. International funders, please add $15 to cover the additional shipping costs. The opportunity to come sit for a tintype portrait in my studio in Arkansas (keeping up to four original one-of-a-kind 8x10 tintypes from the session). You would be responsible for your travel and lodging expenses, but I could pick you up at the Little Rock airport. You also receive everything that comes at the $150 level. 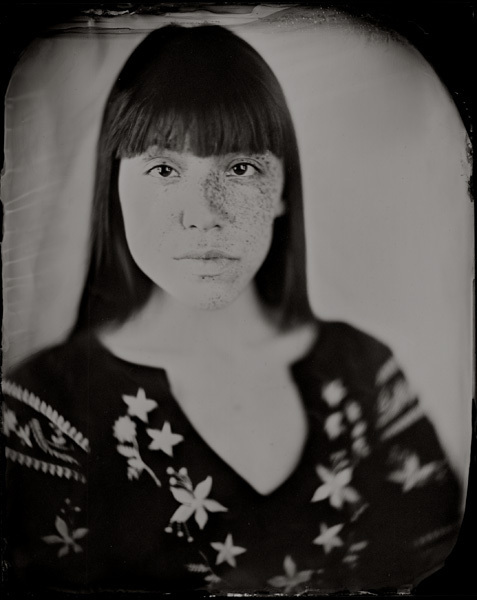 A tintype portrait taken with my antique camera and hand-mixed chemistry of you and up to three other people in your home or a studio in your city (in the continental U.S.) and everything that comes at the $200 level.